Headquartered in Toronto, GAO RFID has been proudly serving customers across North America, including the Phoenix area. Phoenix is affectionately known as the Urban Heart of Arizona. As the commercial and cultural epicenter of the Grand Canyon State, Phoenix has certainly come a long way since its days as an agricultural community. 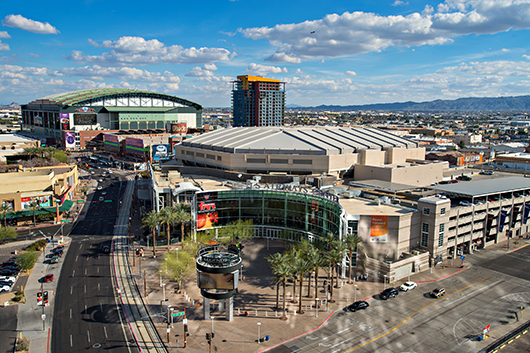 The Phoenix metropolitan area, often referred to as the Valley of the Sun, has a very diverse economy. This region takes up most of central Arizona, which contains the popular cities of Mesa and Glendale. The early economy of Phoenix was based on farming and agriculture. But since the creation of the Southern Pacific in 1926, the city has transformed itself into a major tourist destination. To this day, tourism remains one of Phoenix’s top ten economic drivers, and our RFID Systems are customized for the tourism industry. Sky Harbor International Airport is the largest commercial airport in the American Southwest. It is also the primary hub for travelers headed to Mexico and Hawaii. GAO RFID Inc. offers expert solutions in the aviation field. Our Airline & Airport RFID System is crucial in travel operations. GAO’s technology allows aviation groups to enter data for multiple airlines, tracking all passengers boarding their flights — thus increasing airport safety. Our software is also flexible enough to be used in other areas, including the rail transport and bus transport industries. Many tourists descend on Phoenix for its culture and nightlife. The city has many venues for the performing arts, so it’s no surprise a concert or festival can be found at every turn. For example, the iconic Phoenix Symphony Hall is home to the Phoenix Symphony Orchestra, the Arizona Opera, and Ballet Arizona. With GAO’s RFID Systems for the entertainment industry, especially our Event Management System, organizing mass groups is simple and efficient. Establish attendee registration and analyze your audience with our highly intuitive software. With GAO, the city’s biggest event facilities can become safe territory that all visitors can enjoy. Ask the tourists who come to Phoenix what they love about this city and many of them will certainly tell you it’s the shopping. From vintage shops to designer boutiques, Phoenix has a reputation for some of the best shopping in the American southwest. 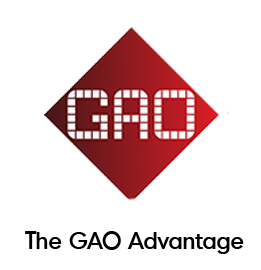 GAO RFID has developed one of the most powerful retail solutions in North America. Phoenix storeowners are understandably concerned about theft. This theft can come in the form of minor shoplifting to organized theft by store employees. GAO’s Access Control Systems for retail allow clients to monitor sensitive areas and expertly track store merchandise. Our solutions meet the highest security standards, without ever compromising on customer service. If your business is looking for RFID technology, do not hesitate to get in touch with our company. 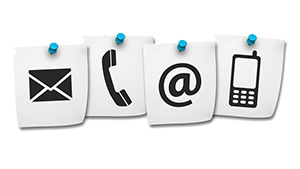 Our team of certified professionals can bring you a set of customized solutions at affordable rates. Contact us today and see why GAO RFID is the superior choice in the Valley of the Sun. Swift Transportation began operations in 1966 transporting imported steel through the ports of Los Angeles to Arizona and Arizona cotton for export back through to Southern California. Today, Swift generates over $4 billion in revenue and operates nearly 18,000 trucks, with a terminal network that has grown to over forty full service facilities in both the continental United States and Mexico. Learn more about how our RFID Systems can be used in the Freight Trucking industry. ZIVELO is a company that designs, engineers, manufactures and distributes public terminal systems throughout the world. ZIVELO stands out in the industry of kiosk manufacturers, with beautiful, simple designs that invite interaction and makes its products out of aluminum, while the industry continues to use steel and plastic. The company produces its machines in the United States under fair trade standards while most others produce them in Asia with no labor standards. Learn more about how our RFID Systems can be used in the Electronics & Technology Manufacturing industry.